Home » Reviews » How Long Does It Take To Get Rid Of Dandruff? 2. What are Possible Ways to Get Rid of Dandruff? 3. How Long Does It Take To Get Rid of Dandruff? 3.1. How Long Does It Take To Get Rid of Dandruff with Shampoos? 3.2. How Long Does It Take To Get Rid of Dandruff with Medical Treatments? 3.3. How Long Does It Take To Get Rid of Dandruff with Natural Remedies? Dandruff does not lead to death, but it is true that dandruff is the root for many embarrassing situations. First of all, it makes you less confident when you appear in front of other people. Besides, dandruff does have some negative impacts on your health as well. Once dandruff becomes out of control, you are driven crazy in search of methods to get rid of it. There are numerous ways to remove dandruff, fortunately. But the ultimate question is how long does it take to get rid of dandruff. This article will tackle this issue. What are Possible Ways to Get Rid of Dandruff? Dandruff can be described as a scalp disorder. It comes with many white flakes falling from your hair or scalp. Often, you might feel itchy as well. Dandruff causes your lack of confidence, so obviously, you want to eliminate it as soon as possible. How long does it take to get rid of dandruff, in fact? Well, it depends on many factors. If you go for shampoo or other hair care products that are variations on the market, you might remove dandruff temporarily. The likelihood is that dandruff will come back soon. On the other hand, medical treatments and natural remedies often bring long-term effects. Nevertheless, you cannot expect the positive outcome overnight. In other words, it will take a certain amount of time to witness improvements. How Long Does It Take To Get Rid of Dandruff with Shampoos? Shampoos have become one of the most popular methods to get rid of dandruff. Thus, the market for this product has seen a significant number of brands that try to sell anti-dandruff shampoos. Thanks to its convenience and partly the advertisement on social media, this industry makes a lot of money. But customers are now more confused about choosing shampoos themselves. No more worry with our recommended products! Read the BEST ANTI-DANDRUFF SHAMPOOS for more details. You can watch this video to get more instructions on how to use shampoo to remove dandruff. The result that shampoos bring is immediate. It is suitable for people who find dandruff on their scalp or clothes right before heading to a public event, say, parties or concerts. You can use shampoos to remove white flakes immediately. It is a good option to end dandruff instantly. Nevertheless, the flip side of using shampoos is its short-term effects. Most anti-dandruff shampoos on the market provide temporary results only. In other words, dandruff will find its way back to your scalp after a certain period. When you stop using shampoos, the likelihood is that dandruff returns to be a problem. This causes you to be heavily dependent on a hair care product. More importantly, there are worse cases in which after several uses, anti-dandruff shampoos do not work anymore. You might change to another hair care product, but then it repeats. And finally, you will waste a huge amount of money without getting rid of dandruff forever. So, in general, it does not take much time to witness improvements from the use of anti-dandruff shampoos. You might delete dandruff completely after just one time, while some other people may use it for several weeks. It is important to note that your hair quality, as well as problem severity, are concerning factors. How Long Does It Take To Get Rid of Dandruff with Medical Treatments? Anti-dandruff shampoos are a quick solution and you might like it when you are about to go out. However, as you have more time to think about this problem, you may want to get rid of it completely for the rest of your life. It might make you wonder how long does it take to get rid of dandruff with other methods, for example, medical treatments. To understand the medical treatment for dandruff, you need to know WHY DO YOU HAVE SO MUCH DANDRUFF. It is not a random game when you suffer from dandruff, but others do not. Medical treatments for dandruff are based on the understanding that fungus, oil, and dirt are the main cause for dandruff on your scalp. If you can address these problems well, then dandruff will disappear on its own. You can use some drugs, shampoos or creams that contain pyrithione zinc. It has wonderful antifungal and antibacterial qualities to fight against seborrheic dermatitis and dandruff . Besides, selenium sulfide is another substance that you can look for in medical treatments for dandruff . In addition to antifungal shampoos, you can rely on antibacterial cleaners. They have prescription-strength washes which have great impacts on removing bacteria on your skin. The presence of sulfacetamide or benzoyl peroxide reduces significantly the development of bacteria or fungus on the scalp . Cortisone shampoos are great to help you cope with inflammation and itchiness, two common symptoms of dandruff. Meanwhile, corticosteroids might be stronger in effects . Most medical treatments are safe as long as you follow strictly the guidance of your physician. You might need to use it in several weeks to witness the results, if you are wondering how long does it take to get rid of dandruff. They are particularly useful if you find out that fungal infection is the main contributor to your problem. Last but not least, some medical treatments might bring some side effects if you become addicted to it over a long time. In this circumstance, stop it and seek for help from your physician to improve your well-being. How Long Does It Take To Get Rid of Dandruff with Natural Remedies? Another common way to eradicate dandruff is natural ingredients. What are their advantages? They are cheaper than other methods. They are also very safe and there is no need to worry about any unwanted effect in the long term. But nobody can tell you exactly how long does it take to get rid of dandruff with natural remedies. Many things can affect the final results in your treatment. Overall, I firmly believe that natural remedies are the best way to remove dandruff. Like medical treatments, they address the problem from its foundation. And some of them can bring immediate effects like shampoos. Thus, why don’t you spend a little time on finding out what are the real natural remedies for dandruff? Undeniably, tea tree oil is one of the most famous natural remedies for dandruff. It has been appreciated even before the booming of anti-dandruff industry. All are attributed to its significant anti-inflammatory, antifungal and antibacterial properties . Thus, it enables you to tackle dandruff which comes from the fungal infections. In research, participants used shampoo with 5 percent of tea tree oil continuously in a month. The result showed that they have less dandruff by 41 percent . How long does it take to get rid of dandruff with tea tree oil? Normally, after one week, you can see great improvements. Remember to use the oil once per day. Another popular natural ingredient for dandruff treatment is fenugreek seeds. It has amazing antifungal qualities that are suitable to fight against excess fungus on your scalp. Fenugreek can control the growth of Malassezia, the fungus feeding on sebum on your scalp and leading to the breakout of dandruff . Furthermore, fenugreek can provide a lot of nutrients for your scalp. It helps to maintain the moisture balance which prevents the scalp from producing too much sebum and feeding the fungus. 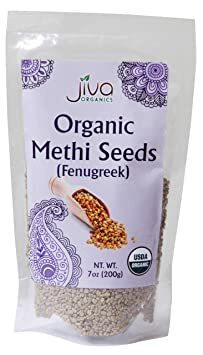 You can also benefit from fenugreek when your hair absorbs nutrients to be longer, stronger and denser throughout time. You can expect fenugreek to remove all dandruff within one month. 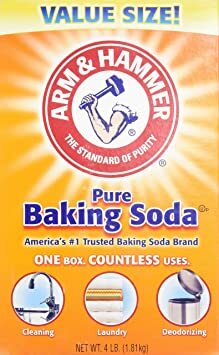 Baking soda serves as a wonderful mild exfoliant to eliminate any dead cells on your skin. In addition, it has great impacts on reducing excess oil which causes dandruff. After about two weeks of applying baking soda, the scalp can release more natural oils to fight against dandruff. Besides, this ingredient can control the development of some overactive fungi. Thus, you can think about it as a good natural remedy for dandruff. It is essential to note how long you put baking soda on your hair and scalp. Baking soda does not benefit your hair in a long time because it can dry out the hair and worse the situation. Therefore, when you take baking soda to get rid of dandruff, remember to remove it after one minute. The best time to apply this method is in the morning. You can use baking soda twice per week. Coconut oil is a natural remedy for dandruff that gets support from many studies. It includes many medium-chain fatty acids that allow your scalp to stay away from dryness . You should bear in mind that dry scalp is one of the main causes for dandruff. So, if you can provide much moisture to your scalp, you might not experience dandruff. Moreover, you can even have shining hair. Like other remedies, you apply coconut oil in the morning for the best result. 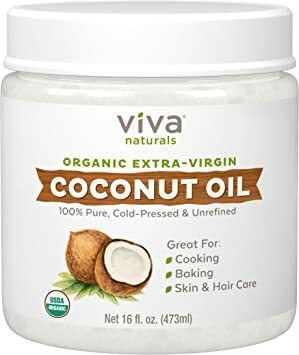 For those who ask how long does it take, coconut oil can help to get rid of dandruff within a week. Overall, how long does it take to get rid of dandruff is a tough question. It is closely linked to the method you choose. There are many different options for you nowadays. And I suggest you combine several to find out which works best for you. It is a better idea to treat this problem in the long term, instead of seeking for short-term solutions only. Hit LIKE and SHARE this ultimate answer to a head-aching problem that is haunting many people around the world!